Last month, Germany led CORONAT MASK 2018, a training exercise that took place from the 14th to the 27th of September. The extensive multinational exercise brought together 14 allied nations and over 1300 personnel, making it the largest CBRN defense exercise to take place within the EU to date. Due to the increased interest in CBRN defense on a global scale, NATO members have made significant contributions to the development of these annual exercises. CORONAT MASK allowed participating states to train their CBRN capabilities across a wide array of exercises in different CBRN scenarios. 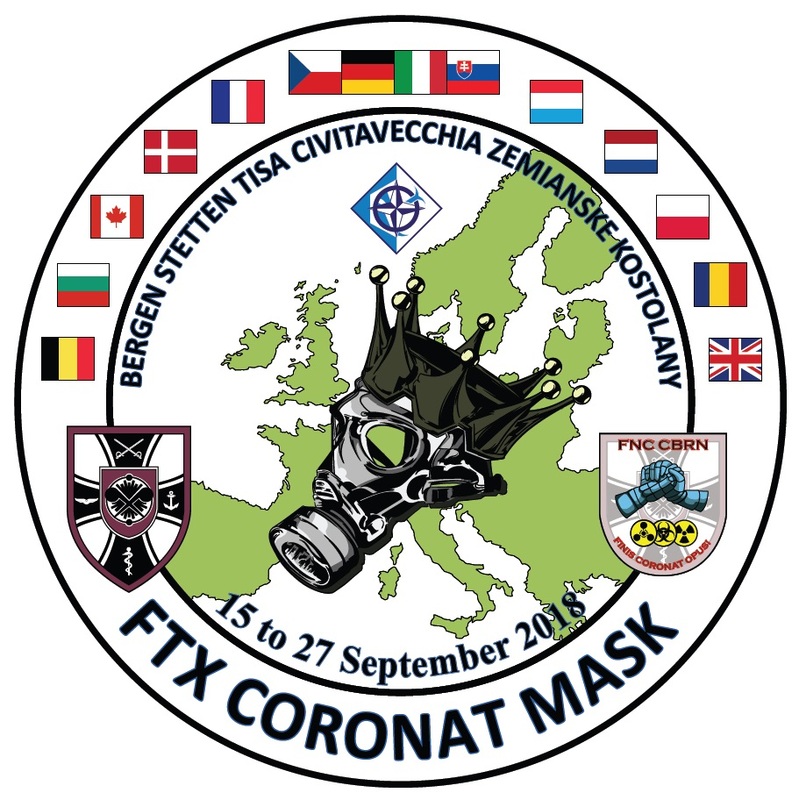 CORONAT MASK is part of the multinational initiative called Framework Nations Concept (FNC), which was introduced to NATO in 2013 by Germany. Within NATO, the FNC is one of the driving forces of multinational defense cooperation. Following the 2008 financial crisis, NATO Member States sought after ways in which forces could be more effective using an already available amount of resources. The FNC structure attempted to bring the topic of defense cooperation among NATO countries to the foreground in order to develop multinational units that are capable of sustaining and preserving military capabilities on a fixed budget. By providing a pragmatic approach to cooperation, states are able to cooperate in a highly agile format while simultaneously retaining their sovereignty. Since its inception, the FNC has been driven, funded and designed by the individual nations. As a result, participating states are able to hold training exercises that coincide with the changing security and defense climate. With these pillars in place, the opportunity to establish the CORONAT MASK exercise became available to NATO member states, in addition to non-member states. This training exercise program was a Level One tactical FNC, Cluster Chemical Biological Radiological Nuclear (CBRN) Protection Field Training Exercise (FTX) and was conducted as a Non Art. 5 Crisis Response Operation in a complex, pointed environment. The activities simultaneously involved four different multinational CBRN Task Forces, deployed in Italy, Germany and Czech Republic. The four Task Forces practice in the same framing scenario under the sole direction of the CBRN Command of the German Army. The deployed task forces were evaluated by the NATO Joint CBRND Centre of Excellence in Vyskov, Czech Republic. The training was aimed at developing concrete operative skills that can be performed by a Combined Joint CBRN Defense Task Force—a specialized unit created year by year for NATO. The exercise CORONAT MASK was tailored to support future training opportunities, including major strategic exercises. Ultimately, the trainings aim to show that collectively, NATO’s collective CBRN defense mechanisms are capable of withstanding both small and large scale CBRN-related attacks in today’s defense and security environment. An example of how contributing nations benefit from such a multinational exercise was showcased on September 24th at the Joint Distinguished Visitors Day which took place at the Santa Severa Training Area (Civitavecchia) where both static and dynamic displays demonstrated the CBRN capabilities provided by the Task Force led by Italian 7th Regiment “NBC Cremona”. The 7th Regiment, a specialized and unique unit of the Army dedicated to CBRN defense tasks prepared its troops to organize a CBRN-related event on either Italian soil or abroad, in conjunction with teams from other NATO countries and other armed forces. The Italian Regiment is in the process of training its specialized units to operate in more complex and diversified scenarios. This project came into fruition on the 20th of September, when the Regiment established a Task Force (TF) in the Santa Severa firing range’s training area. The TF had a “Regimental” level status and had specialized assets dedicated to CBRN identification, decontamination, sampling and various other complex systems, such as reconnaissance vehicle VBR-NBC Plus, Mobile CBRN Field Laboratories, and NBC decontamination stations. The TF thus provided a platform within Italy, where the 7th Regiment “NBC Cremona”, together with a team from the German Army, specialized CBRN units from the Italian Air Force, EOD teams, a K9 team, Army Aviation and assets from the 232nd Regiment transmissions were able to train interoperability in a variety of different CBRN scenarios. The national forces participating in CORONAT MASK 2018 had another opportunity to demonstrate their capabilities during the final part of the exercise in Bruchsal (Germany). On 26 September, during the Joint Distinguished Visitors Day, the multinational formations had the chance to demonstrate their achieved capabilities during both static and dynamic displays. The final day of the exercise confirmed the ability of the Cluster “CBRN Protection” to generate qualified CBRN formations on a multinational level, to train them and to coordinate large scale transnational exercises. 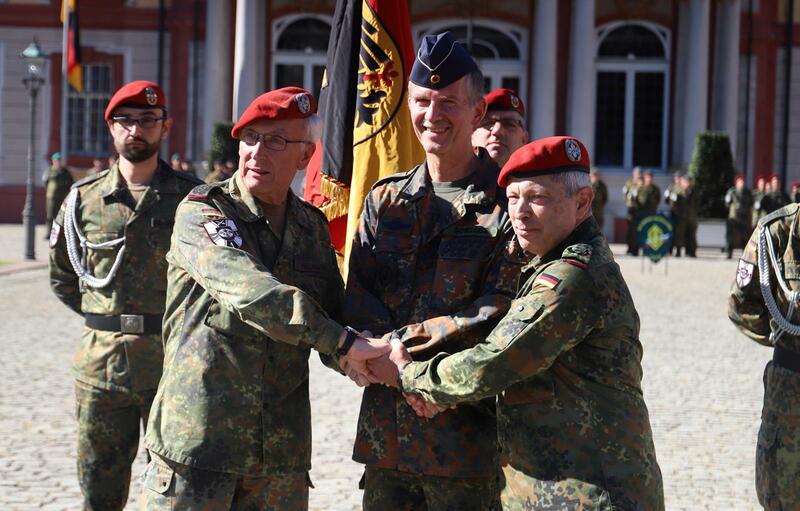 The successful completion of the Coronat Mask 2018 exercise also marked the transfer of Command of the Bundeswehr CBRN Defense Command from Col. Henry Neumann to Col. Klaus Werner Schiff. "This exercise carries your handwriting", said Lieutenant General Schelleis to Col. Neumann during the command transfer ceremony, which marked the end of his 43 years of a successful military career in the Bundeswehr. “Finis Coronat Opus”, with this motto Col. Neumann handed over the command to his successor Col. Schiff, wishing him: "The luck to make the right decisions at the right time" in the view of the many current challenges. The CBRNe Society and IB Consultancy express the greatest appreciation for the contribution of Col. Neumann to the global CBRN Defense Community and wish the best of success to Col. Schiff with his new Command.